A hearing in front of an Administrative Law Judge (ALJ) is the last administrative stage in a Social Security Disability Insurance or Supplemental Security Income appeal and is called the Administrative Hearing. Depending on where you live, it can take well over a year, possibly more, to be scheduled for a hearing after one is requested. The hearings are meant to be informal, fact-finding procedures. The people present at the hearing are the claimant and their representative (if they have one), and the judge and hearing assistant, who is there simply to record the hearing. Sometimes medical and vocational experts are also in attendance. The job of these experts is to give an opinion on the case based on the record and testimony. There is no “prosecutor” at the hearing, and no lawyer for Social Security to cross-examine the claimant. The hearings usually take about an hour. The judges will sometimes ask questions first and then allow the representative to direct questions to the claimant. Some judges let the attorney ask questions first. In either event, the main information focused on is age, educational background (including vocational training), work history, and medical conditions. The decision will rarely be given at the hearing itself. The written decision, if favorable, is the trigger for the beginning of the payment process. Unfortunately, it can still be several more months until money is in the hands of a successful claimant. If you have an upcoming hearing in front of an ALJ, are waiting for a hearing to be scheduled, or are still in earlier steps of the application process, please call us for a free case evaluation! The Social Security Administration (SSA) delivers services through a nationwide network of over 1,400 offices that include regional offices, field offices, card centers, teleservice centers, processing centers, hearing offices, the Appeals Council, and their State and territorial partners, the Disability Determination Services. They also have a presence in U.S. embassies around the globe. The Social Security Act was first signed into law by President Franklin D. Roosevelt on August 14, 1935 where he stated that “The success or failure of any government must be measured by the well-being of its citizens.” The Act established one of our nation’s greatest social and economic achievements: a law that at its very core was meant to allow people to meet their basic needs at the most vulnerable times in their lives. Social Security provides benefits for: Old age (retirement), Survivors, and Disability. What Are My Retroactive Benefits, And Why Are They Taking So Long? Retroactive benefits (or back-pay) are the benefits that accrue while you wait for your Social Security Disability Insurance (SSDI) and/or Supplemental Security Income (SSI) claim to be granted. In theory, you will begin receiving your monthly benefits and then the retroactive benefits are released within the next three months. However, we have been seeing extreme delays in the release of these retroactive benefits over the last year or so. Some local Social Security offices are estimating that it is taking certain payment centers an additional eight to twelve months to release these retroactive benefits. The reason being cited is that the payment centers are extremely backlogged and understaffed, and that Social Security is concentrating on meeting the demands of getting the monthly benefit started as the first priority. Essentially, the processing of retroactive benefits is being pushed to the back burner. If you can prove a “dire need” situation, then Social Security will try to release your retroactive benefits sooner. For example, retroactive benefits may be released sooner if you can show that you lack the resources to obtain food, critical medication or medical treatment, or shelter. You can submit eviction notices, foreclosure notices, shut-off notices, and other items to substantiate the claim that your case meets the “dire need” standard to expedite the retroactive benefit processing. Additionally, claimants who suffer from terminal illnesses or are designated “wounded warriors” from active duty injuries may also see their retroactive benefits processed more quickly than other beneficiaries. 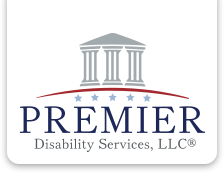 Please contact us if you are interested in applying for disability benefits, or if you are looking for help with an existing claim!